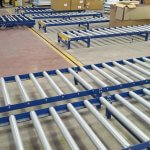 Andrews Automation provide cost effective belt conveyor systems which have excellent return on investment. 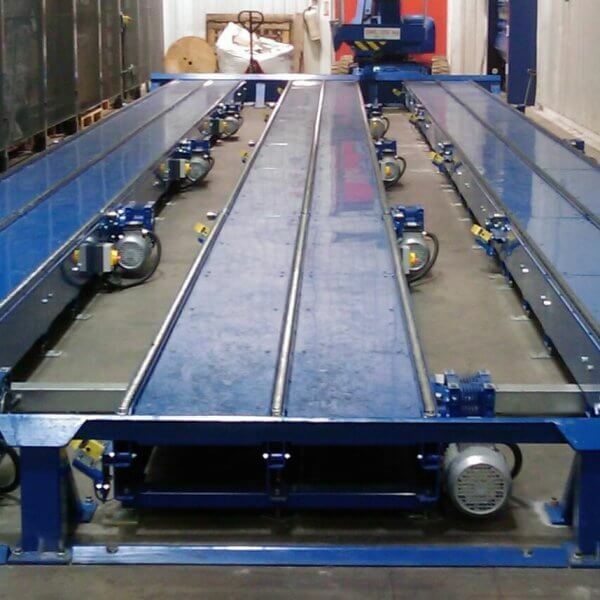 Belt Conveyor systems are a efficient and cost effective alternative to manual handling systems. They provide an attractive solutions to any business where handing products or materials is a key process. Andrews Automation recently provided a belt conveyor system for a well known automotive parts company who supply products throughout the UK and Europe. Their specification was to streamline the handling of large quantities of stock on 2 floors of their warehouse, eradicating the existing labour intensive processes. Andrews Automation designed, manufactured and installed an innovative twin belt conveyor system which moves large quantities of stock from a mezzanine floor to the main warehouse. 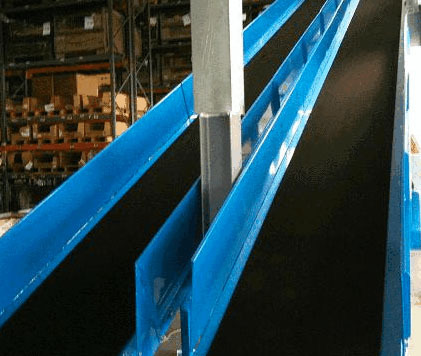 The system uses and combination of powered belt conveyors which link to non-powered accumulation roller conveyors. This allows staff to safely handle stock without the need for heavy lifting and manual handling. Call our Applications Engineer 01405 768 900 to discuss your exact requirements. We can design bespoke solutions to your exact specification.